Clean, simple, uncluttered websites with memorable photos/illustration. Branding that's simple, fun and colorful. 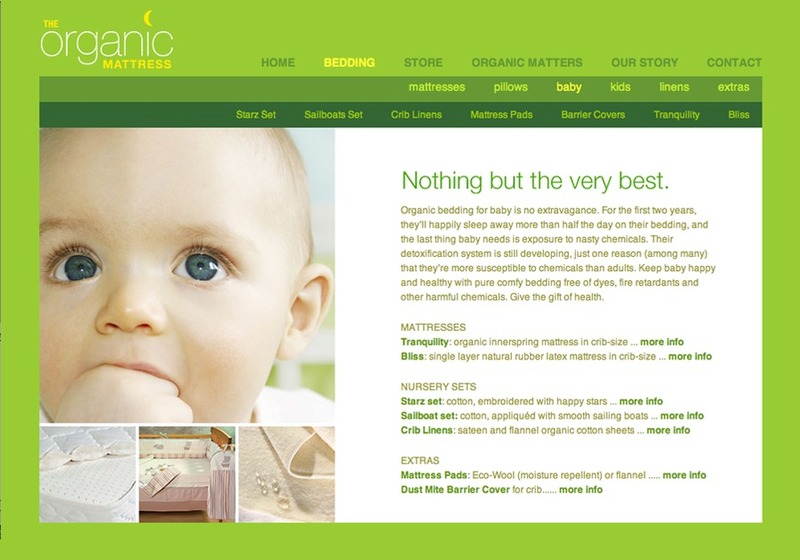 The Organic Mattress website: simple and clean, with outstanding art.